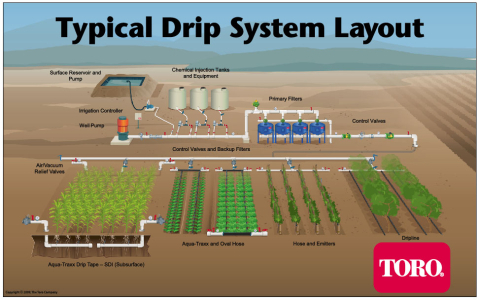 Drip system reduces water requirement of the plant by maintaining minimum soil moisture. Ø Alderlieste, M.C. and J.G. Langeveld (2005). “Wastewater Planning in Djenné, Mali. A Pilot Project for the Local Infiltration of Domestic Wastewater,” Water Science & Technology, 51(2):57–64. Ø Systems using Rapid Rural Appraisal in the Ikongo District. Michigan TechnologicalUniversity. Houghton MI. <http://cee.eng.usf.edu/PeaceCorps/Resources.htm>. Ø Bustan, A. and D. Pasternak. (2008). African Market Garden. Encyclopedia of Water Science.Edition. 2.CIA (Central Intelligence Agency). (2009). The World Fact Book: Benin. Ø <https://www.cia.gov/library/publications/the-world-factbook/geos/bn.html>.Last accessed December 11, 2009. Ø Resources Management and Environment Department. Rome, Food and AgricultureOrganization of the United Nations.